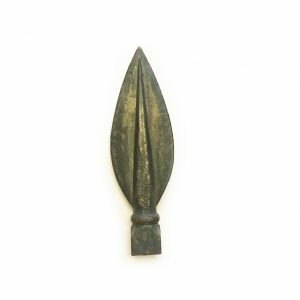 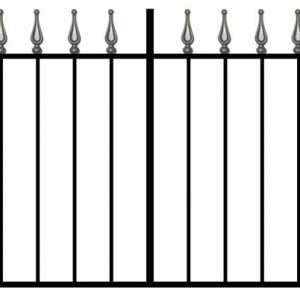 The lovely spear shaped railhead creates a striking style that is well suited to traditional properties but is also simple enough to compliment the more modern home. The railhead itself is an impressive 150 mm tall x 48 mm wide and is mounted on a 20mm round base. 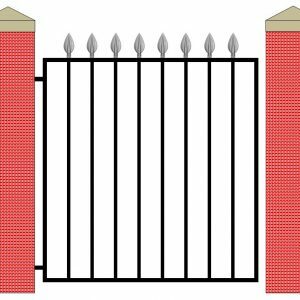 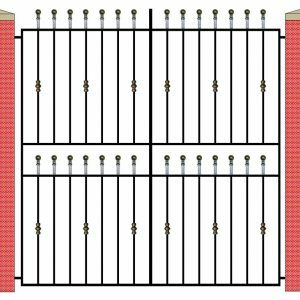 Together with the 20mm round vertical infill bars and the sturdy framework these gates look truly majestic. 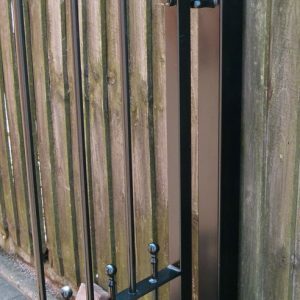 A clean and unfussy finishing touch. 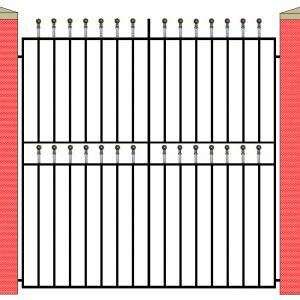 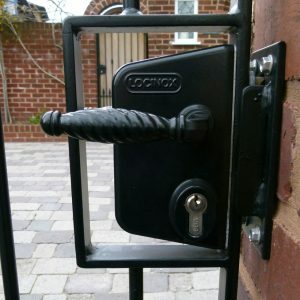 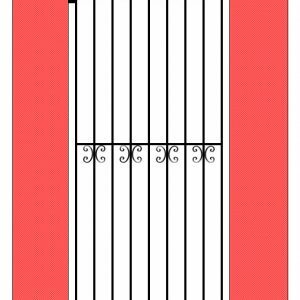 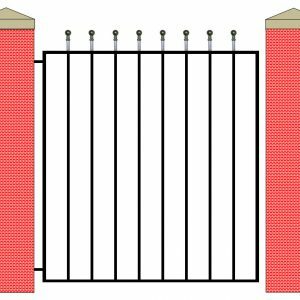 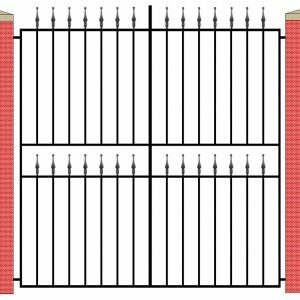 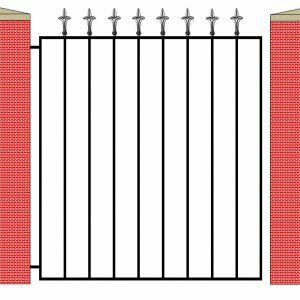 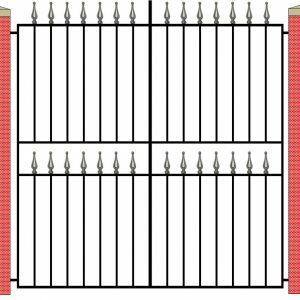 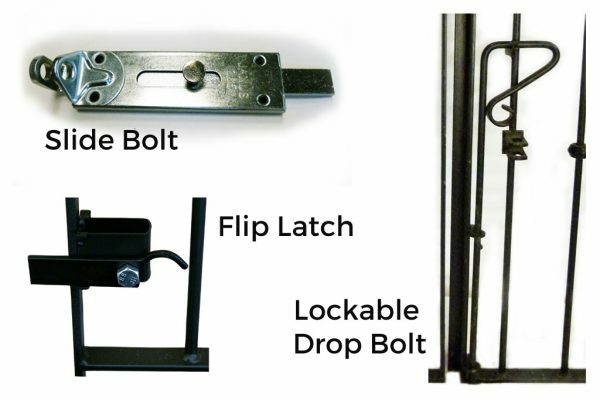 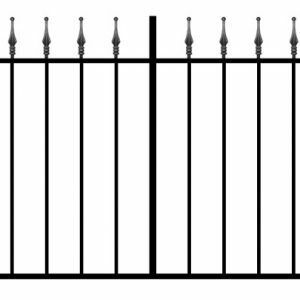 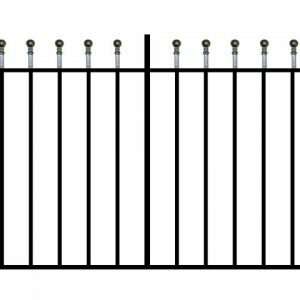 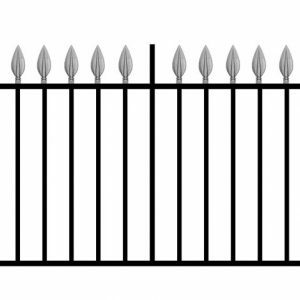 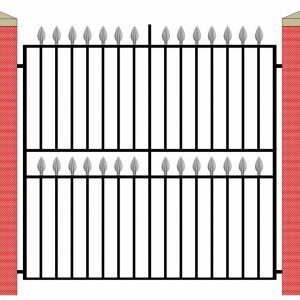 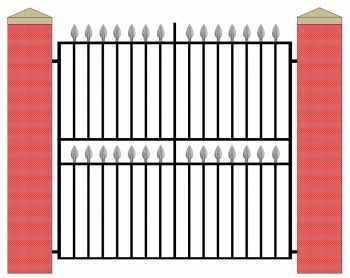 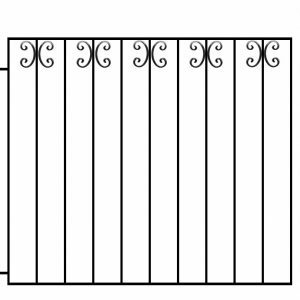 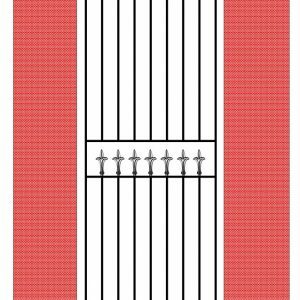 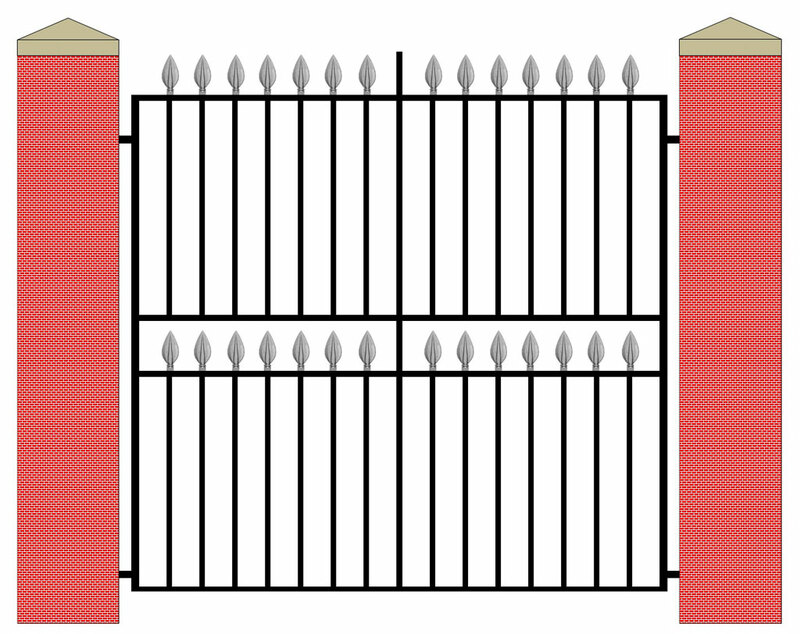 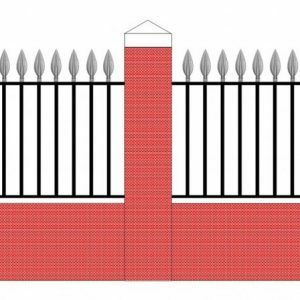 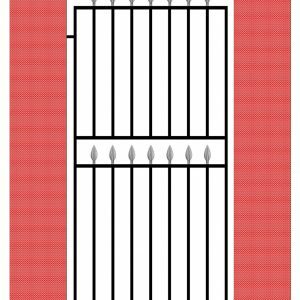 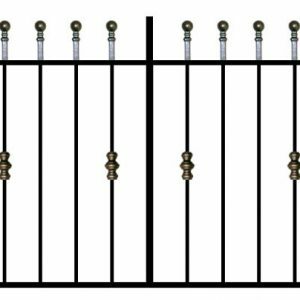 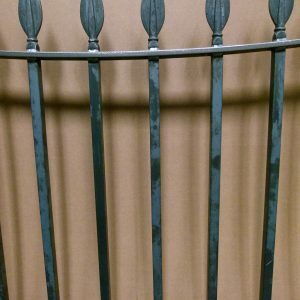 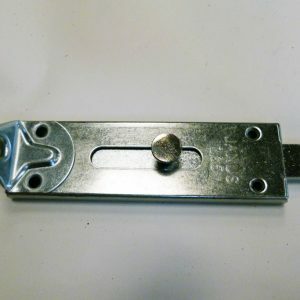 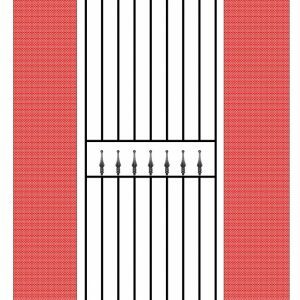 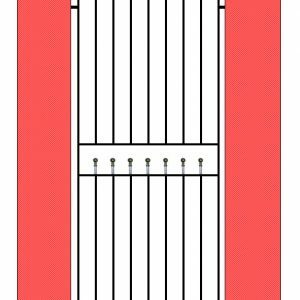 This product matches our wrought iron style Fontaine Single Gate and Fontaine Railing.